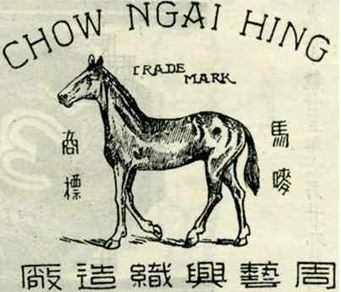 One of Chow Ngai Hing’s brands – the Horse trademark. In Mongkok, there are four streets which have names there are associated with garments – Yim Po Fong Street (染布房街, dyeing mill street), Hak Po Street (黒布街, black cloth street), Pak Po Street (白布街,white cloth street) and Sai Yee Street (洗衣街, laundry street). Before the area became a residential, shopping and entertainment district in the 1960s, Mongkok for about half a century was actually a center of garment production in Kowloon and the massive Ngai Hing Mansion (藝興大廈) at 2-24 Pak Po Street was the site of Chow Ngai Hing Knitting Factory (周藝興織造廠), a leading garment manufacturer in HK which was originally founded in Canton before the establishment of the Republic in 1911. Chow Ngai Hing was founded by Chow Chung-ting (周頌廷, 1883-1983), a native of Guangning county in the Zhaoqing prefecture in western Guangdong province. 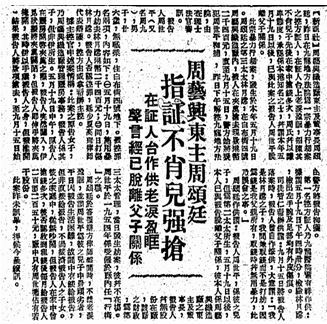 It is unclear exactly which year Chow Ngai Hing was founded in Canton but it was likely sometime in the second half of the 1900s when the Anti-American Boycott of 1905 and Anti-Japanese Boycott of 1908 fostered a wave of industrial startups in China. The local garment industry in Canton began in 1891 and by 1915 it was the largest in all of China. By the 1920s, Chow Ngai Hing had two factories in Canton and its Bicycles brand of cotton vests, singlets, sweaters and sweatshirts were sold in major department stores such as Sincere and also exported overseas to Southeast Asia and beyond through working with trading firms such as the German firm of Reuter, Brockelman & Co. 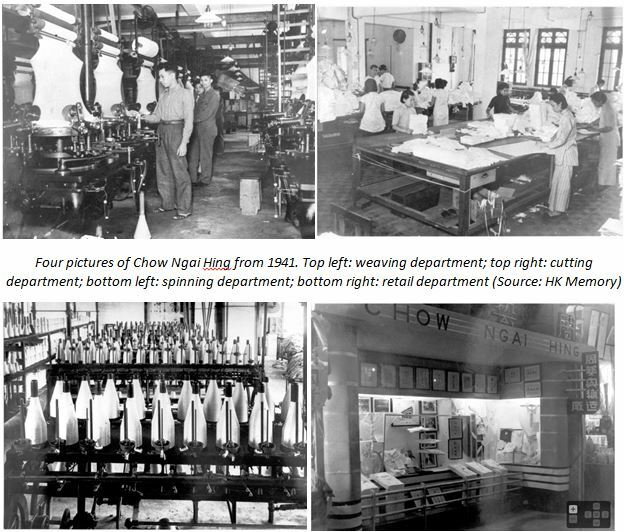 The garment industry in South China was already quite crowded at the time – there were over 100 garment factories in Canton and over 200 in Hong Kong but Chow Ngai Hing stood out as a leader (earning the reputation of “King of Sweaters”) alongside firms like Lee Kung Man with products which matched the quality of imported ones but at half the price. Most of these firms were using American machinery and Chow had traveled overseas twice before 1932 for business (Canadian immigration record showed a person with the same name and age entering Vancouver in August 1912). Outside of business, Chow Chung-ting was an active community leader and philanthropist. 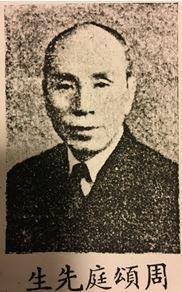 During the 1930s, he was chairman of the HK Sze Wui & Kwongning Clansman’s Association (香港會寧同鄉會, founded in 1929) and contributed large sums of money towards the construction of bridges, roads and schools in his native Guangning and also towards the war relief effort in Guangdong province. A devout Taoist, he was one of the 80 supporters who help to finance the construction of the Taoist temple Fung Ying Seen Koon (蓬瀛仙館) in Fanling in 1929 and later served as its chief. In addition, he had served as chairman of the Chow Clansmen Association, permanent honorary chairman of the Mongkok Kaifong Welfare Association and Chung Sing Benevolent Society and director of Po Leung Kuk. Chow Chung-ting had three wives who bore him 10 sons and 4 daughters. 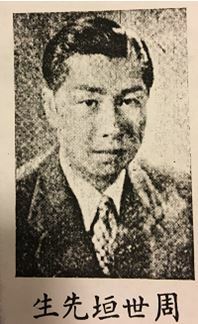 After the War, a number of his sons joined the family business including Chow Sai-woon (周世垣), who served as a director of Tung Wah Hospital in 1946 and Po Leung Kuk in 1949 and Chow Sai-kwan (周世均). 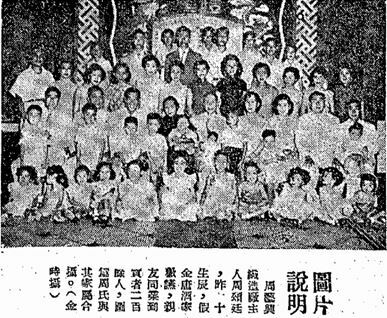 In 1954, Chow Chung-ting hosted a big 70th birthday party which was attended by his large family and over 200 guests. In 1983, Chow Chung-ting passed away at the age of 99 (Chinese count: 102) (Wah Kiu Yat Po, 1983-10-6). Chow Ngai Hing Investment was dissolved in 1973 and Chow Ngai Hing Knitting Factory was dissolved in 2004. This article was first posted on 5th May 2017. May I know how did you find the photo of Mr. Chow Chung-ting? It’s from a Chinese yearbook from the late 1940s which I photocopied from the library.